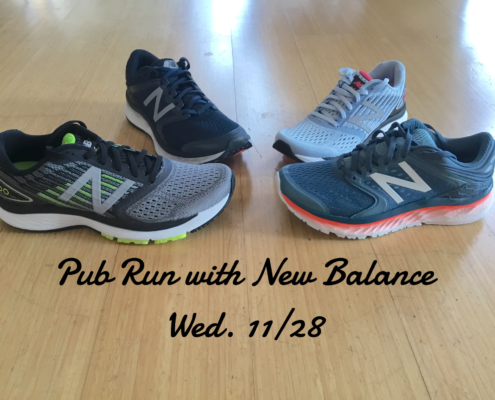 Join us this Wednesday, 6:30 pm at our College store for another fun Pub Run featuring our guests from New Balance! 1080 and 860 shoes will be available to demo. Then stick around after the run and reward yourself with a beer at a local pub!